Blade Spa Mambukal Resort: Get Yourself Spoiled! It was a cloudy Saturday afternoon at Mambukal Resort in Murcia, Negros Occidental. Our party of eight, four foreigners and their Filipina wives, had just filled our bellies at a nearby eatery. Finally, pampering time was here. My wife would be spending the next four hours getting some well-deserved rest and relaxation. 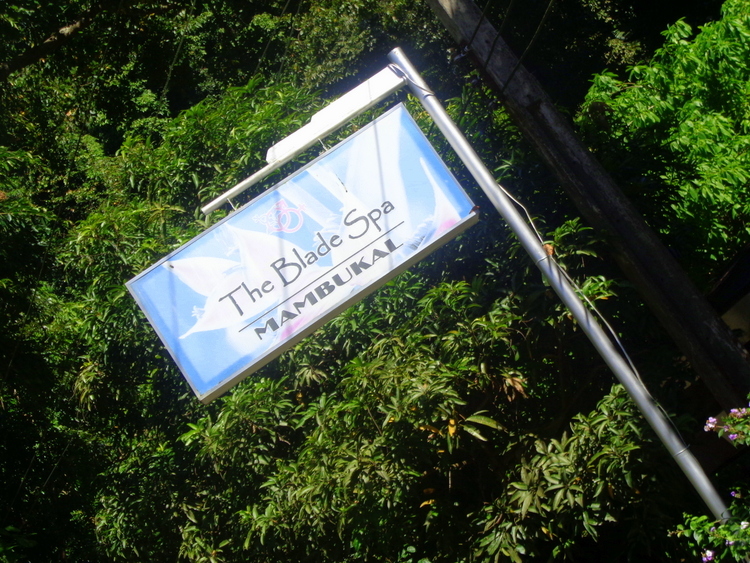 Here’s my account of the afternoon: Blade Spa Mambukal Resort: Get Yourself Spoiled! The price quoted for the package on the Mambukal Resort website was 1500 pesos, 30 U.S. dollars. However, that did not include a manicure, which added an additional 200 pesos to the total bill. Here’s my lovely asawa relaxing at the Blade Spa waiting for her manicure and pedicure. Cascading unto my wife’s face were pillows of steam with the apparatus shown above. After the steam treatment came the masque. While I’m not positive, I believe my wife was napping and not unaware I was taking any of these photographs. Next came the ear candling. This process was supposed to clear out any excess wax in the ear. Probably not something I would have opted for myself personally. That said, my asawa will occasionally mention that I “need to get my ears cleaned out” whenever she has to repeat something to me. In my defense, I am the Crusty Old Expat. While I waited for my spouse’s special spa treatment to be completed, I decided to have a foot spa with pedicure and a manicure. That’s my big foot in this photo. The foot spa and pedicure? 350 pesos. The manicure costs 200 pesos. All for about ten bucks. The Hot Stone Massage was the last item on my wife’s get spoiled spa day. She informed me that it was very relaxing. My asawa also pointed out that the attendant was very skilled and adept at relieving many aches and pains she had. Though my wife has been to some different therapists in Guimaras, the island province we call home, she remarked that this particular employee was one of the best therapists she ever had. The whole spa treatment package took over four hours. The rest of our crew was waiting for us at the resort parking lot. We didn’t begin our return to Bacolod until 5:30 pm and it was already getting dark. We had booked rooms in Bacolod the night before, however, and capriciously navigated our way back to the big city.